This form is mainly used in schools and colleges where the students’ talent is recorded. The authority concerned gets these forms signed from the parents, thus securing permission to share the talent of their children in media. 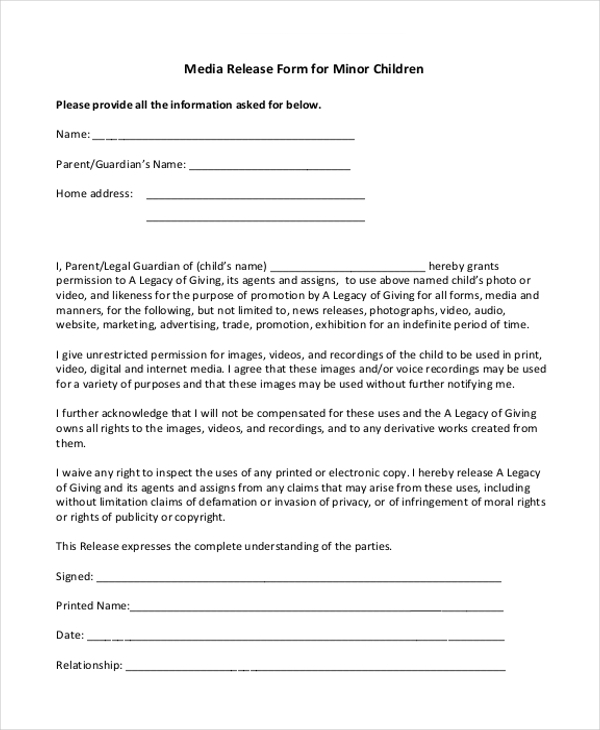 Usually when a company records the talent of minor children, the secure the permission to share this talent on various media channels by getting the parents of the children to sign this form. 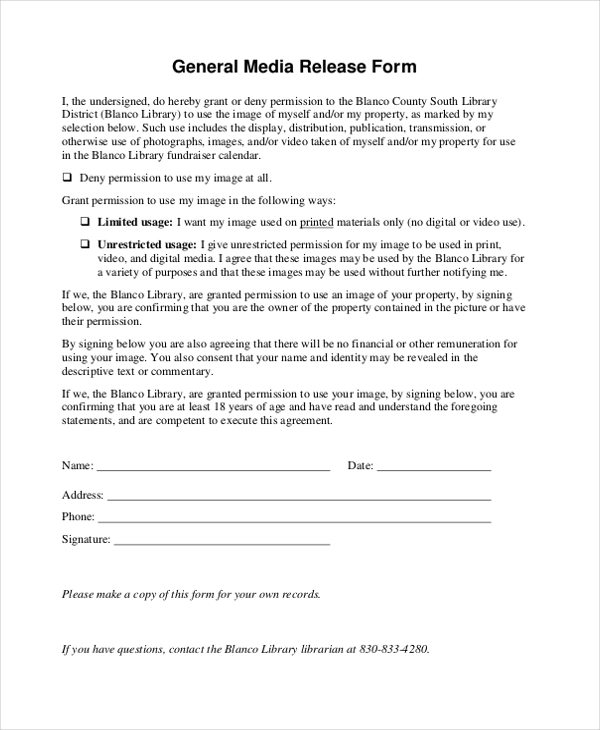 This media release form can be used by anyone to secure permission from a party concerned. 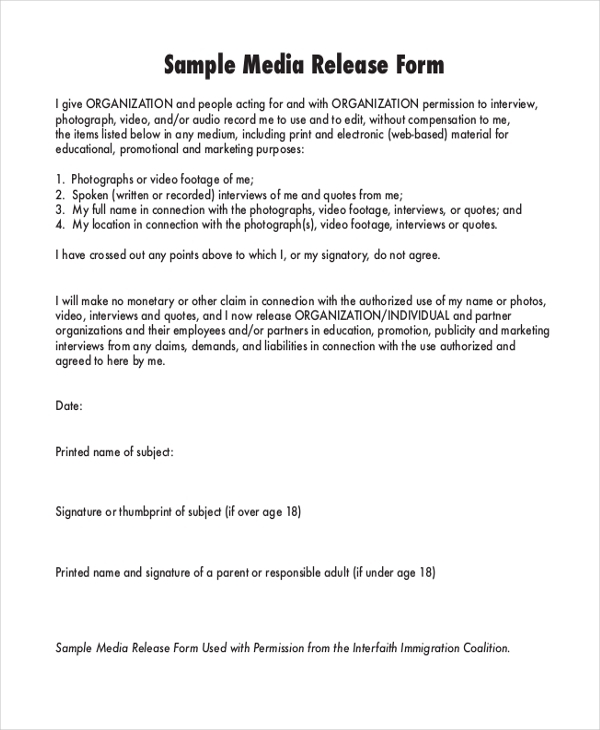 This is the general format of a media release form and can be used just the way it is or can be customized. As the name suggests, this is the standard format of a media release form and comprises of all the important segments. A party can use this form as it is or can make changes to it as per their needs. 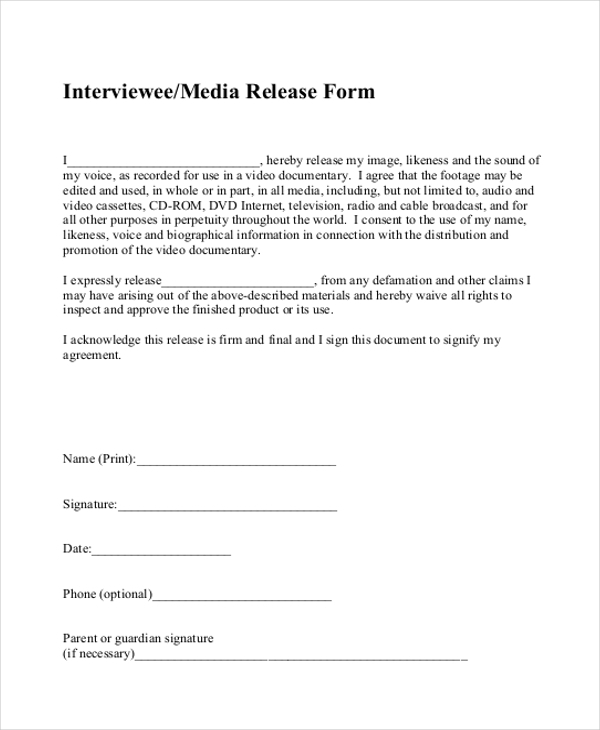 Usually when a company tapes the interview of a person, they make the person sign a media release form such that they can share this on media channels if need arises. Doing this saves them from legal hassles. 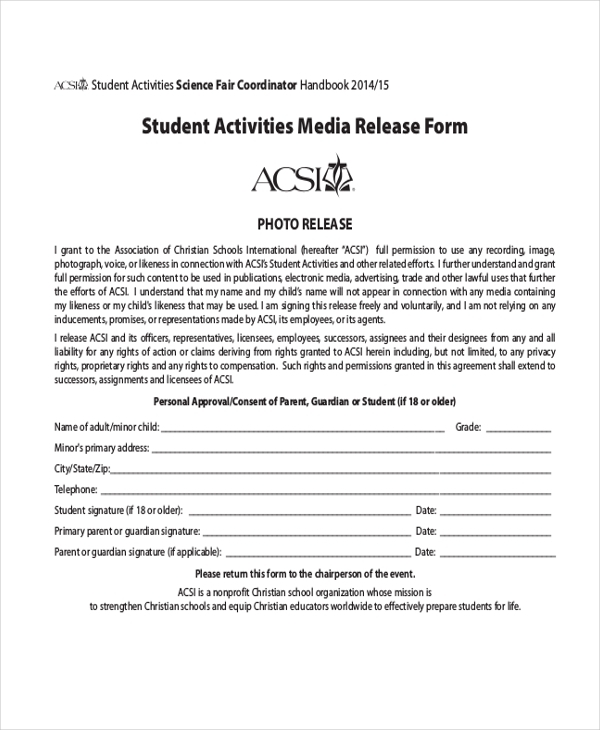 Whenever the student body in a school or college engages in some activity and this is taped or clicked by the authorities, they can share these on media platforms only after getting the student council to sign a student activities media release form. This is a sample of how a media release form should ideally look and the segments it should contain. This can however, be used by a party without any changes. On the other hand, they can also make changes to it, if need be. 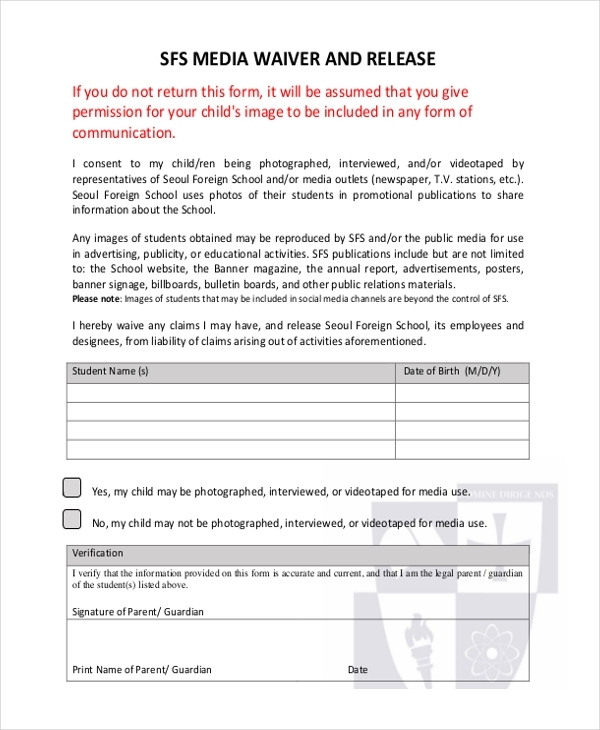 This media release form is used by the people working in creative fields to gain permission from the parents of children to showcase the talent of their kids on various media platforms. 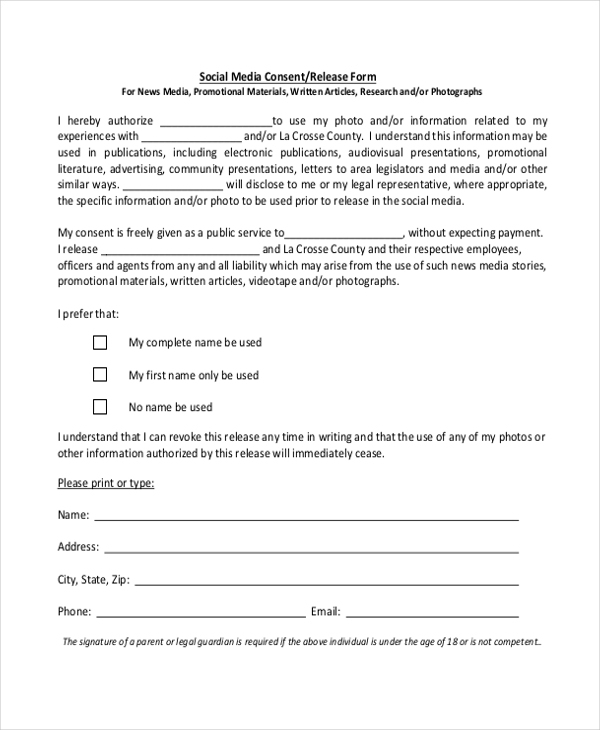 As the name indicates, by getting this form signed by an artist, a company secures permission from the person concerned to share his/her clippings and other talent on the social media platforms and channels. 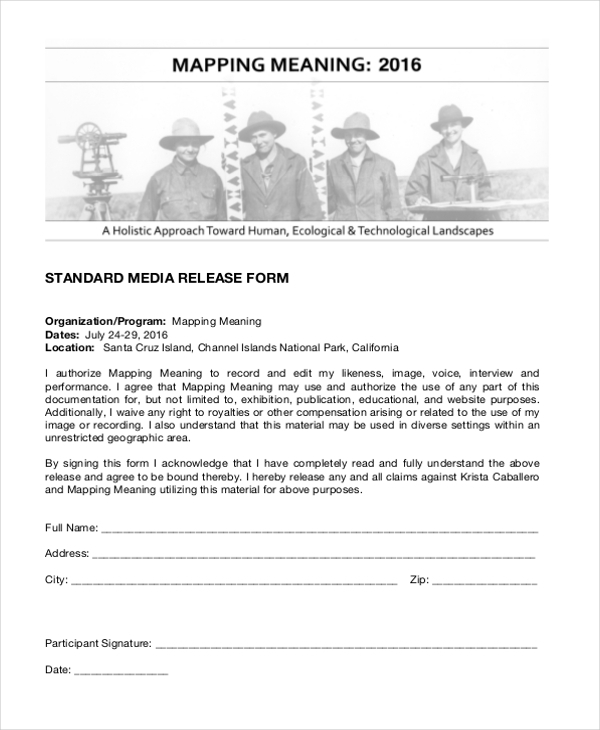 This form is used by a organization to ensure that the artist concerned waives off his/her rights on the clippings and photographs owned by the party concerned and gives them permission to use it on media. Who are the Target Audience for a Media Release Form? What are the Benefits of Using a Media Release Form? What are Points to Remember when Designing a Media Release Form? A media release form is a legal document and hence the language used to spell out the terms and conditions should comprise of legal jargon, but at the same time should be easy for the parties to understand. Before designing a media release form, it is a good idea to consult the two parties to find out the terms that they may want to include in the form. Breaking down the terms of agreement into small paragraphs and bullet point would make it easier for the parties to read the form. You need to pay some thought when designing a media release form as it is a legal document. In case, you are running short of time, go ahead and look for media release form online. Designed by experts these are extremely professional and will serve your purpose perfectly. What’s more you can make changes to these forms as per your requirement before using them.